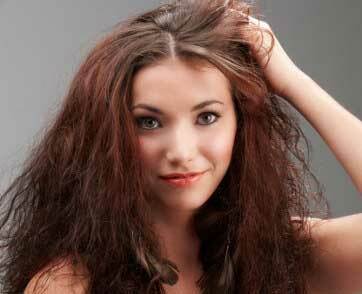 If your hair is dry, dull and breaks easily, it’s often down to excess sebum, bad habits and lack of the right care. To help you rectify these problems, here’s how to care for and style dry hair. What are the characteristics of dry hair? The normal role of sebum is to hydrate the scalp. If you have dry hair, the sebum doesn’t do its job properly, and this leads to itchiness and irritation. 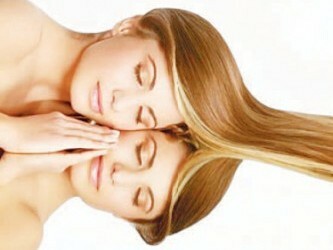 The hair loses its elasticity, becomes dull, breaks and splits more easily because it’s fragile. dry hair has genetic origins, but it can just as well be caused by sun, wind, seawater and chlorine, as well as damage from hair curlers, straighteners, overbrushing, excessively hot drying, excessive dyeing, permanent colour, strong detergent shampoo and the wrong products. How do you take care of dry hair? Use gentle nourishing shampoo specially designed for dry hair containing lots of nutrients like ceramides, oils and essential fatty acids, and don’t wash too often to prevent damaging your hair. As well as shampoo, use a hydrating conditioner and massage in with the tips of your fingers. For an additional toning effect, rinse your hair with cold water. Avoid hot water and hard water, which dries out your hair more. Every two washes, before shampooing, apply a shea butter, palm oil or sunflower oil mask on slightly damp hair, wrap your hair in a warm towel, leave for at least 20 minutes and wash as normal. 2 tablespoons of pure castor oil and 1 tablespoon of pure argan oil, 10 drops of essential lavendar oil and 5 drops of essential clary sage oil. Leave in your hair for an hour, putting cling film and a hot towel over your hair. Do this once a week when your hair is particularly bad, and otherwise every 2 weeks. Mix 2 tablespoons of olive oil and honey and warm up until liquid. 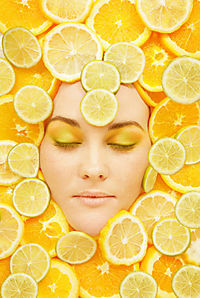 Add an egg yolk and lemon juice to make your locks shine. Leave in for at least half an hour then wash with gentle shampoo. 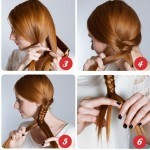 To style your hair well without damaging it, be gentle, especially if your hair breaks easily. Leave-in conditioner helps keep your hair tangle-free and hydrates it. 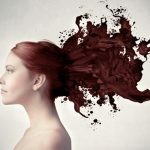 Our diet has an impact on the health of our hair. It’s important to nourish your locks by eating healthily! Avoid saturated fat (from dried/cured meat, fast food and white bread) and eat lots of green veg and fresh fruit. To take care of your hair, munch on almonds, walnuts, hazelnuts and cereals. 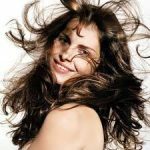 An occasional course of nutritional supplements (for 3 months) can also help nourish and protect your hair from the inside.